Heterotopias, a group exhibition at the Musée d'Art moderne et contemporain and the Aubette 1928 in Strasbourg, links the founding concepts of 1920s artistic and architectural avant-gardes with the works of ten contemporary artists responding to this period, including Ryan Gander, who has produced a new work specifically for the show. 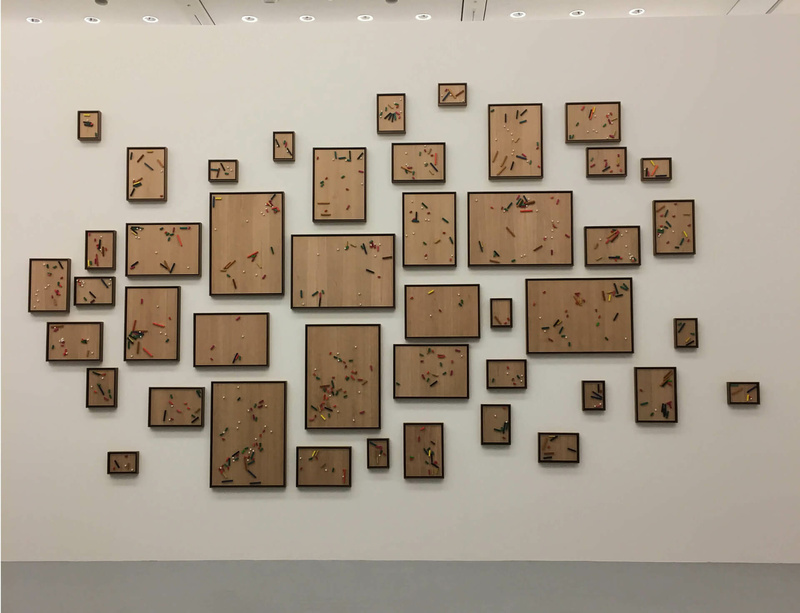 In response to the Aubette décors made in 1928 by Theo Van Doesburg, Jean Arp and Sophie Taeuber-Arp, the exhibition layout is organised in four sections illustrating representative concepts or movements of Modernist avant-gardes appropriated by contemporary artists. Works by Ryan Gander, Bertrand Lamarche, Cyprien Gaillard, Haegue Yang, Edi Rama, Anri Sala, Xavier Veilhan, Nicolas Godin, Farah Atassi and Michel Aubry propose a rereading of some of the leading ideas characterising this period in art history: from the Sysnthesis of the Arts and Gesamtkunstwerk (total work of art) to Elementarism, Space-Time, Architectones and the ruin of Modernism. Heterotopias, a notion used by Michel Foucault to describe the physical spaces of utopias, the space-time dimension also explored by Van Doesburg, thus postulates a quasi-updating of Modernist thinking. The contemporary works in the exhibition offer a revaluation and reactivation of Modernist concepts in the light of contemporary social, economic and cultural issues. The parallel established helps to measure the topicality of heterotopias and their impact on contemporary history and society. Heterotopias opens on 10 December 2016 and continues until 30 April 2017. Please click here for more information on the exhibition.